ULYSSES mixes trench coat styling with a modern look. This relaxed, straight-cut jacket features draped elements such as a shawl collar and a clean-lined, curved back “rain guard” overlay. Notched-out holes along the sides seam of the overlay allow the jacket’s belt to exit through from the back to the front. 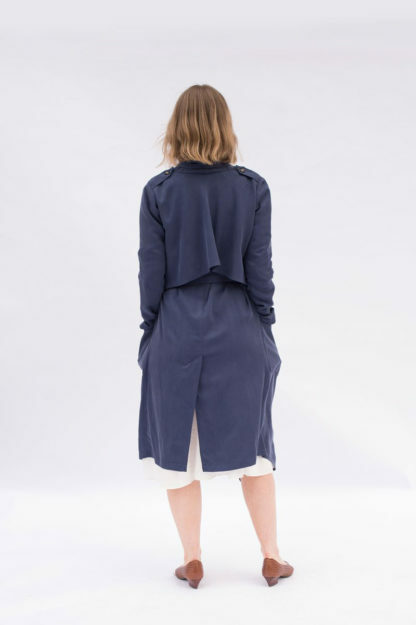 Other features include shoulder epaulettes, clean-lined, angled patch pockets with an upper flap, a centre-back vent, and a gently angled hemline at the front. 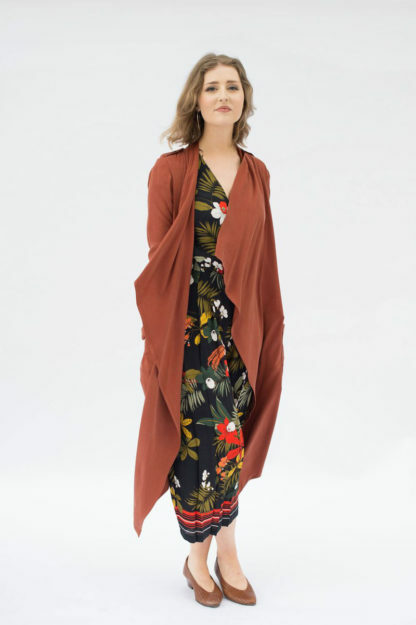 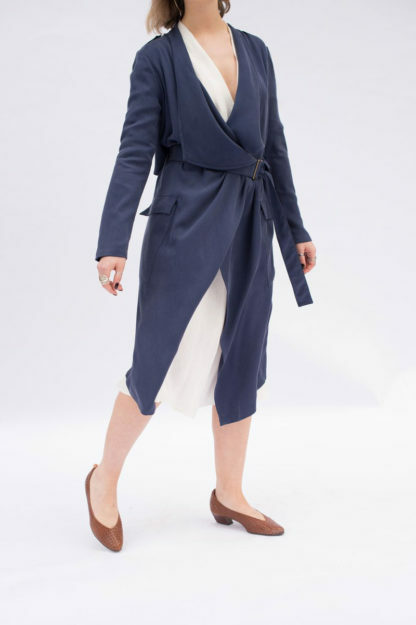 The body of the coat is unlined, making this a perfect, cool style for the warmer months. 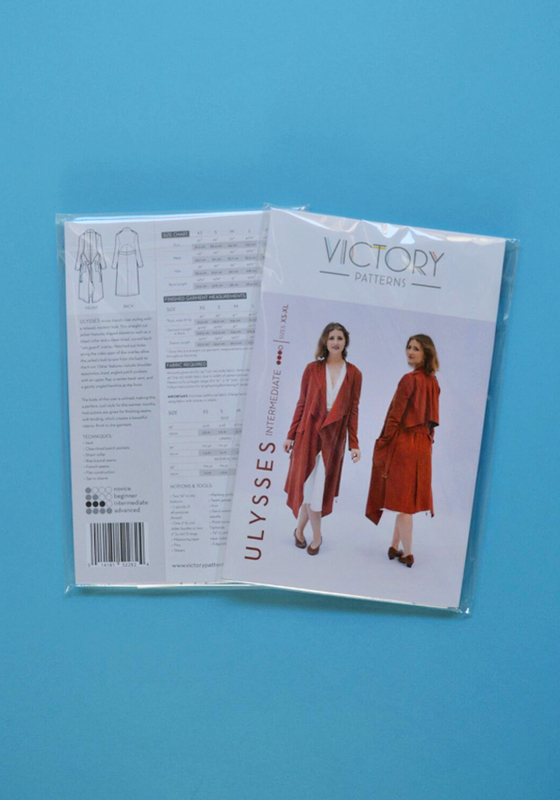 Instructions are given for finishing seams with binding, which creates a beautiful interior finish to the garment. 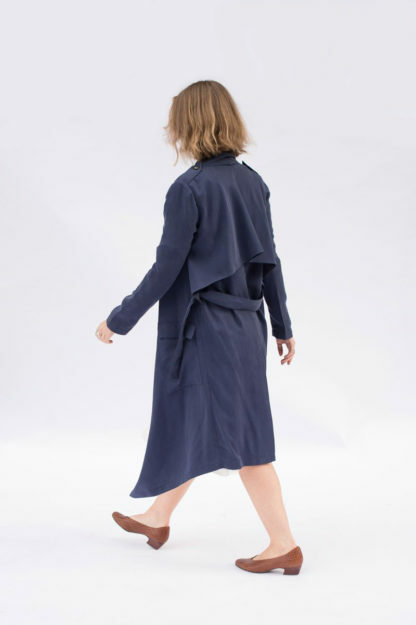 What we think: a gorgeous trench coat with lots of design details for an intermediate maker. 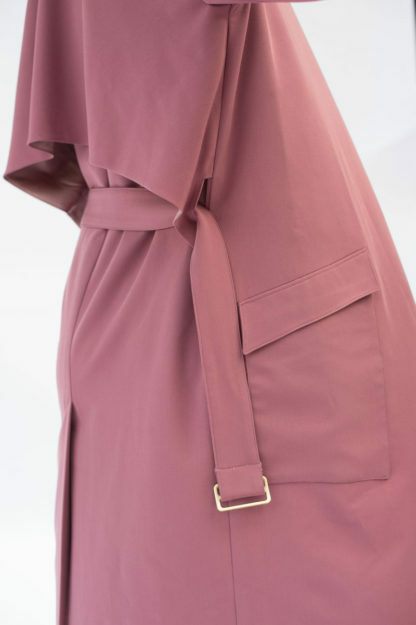 It’s an essential wardrobe piece that can be worn throughout most of the year as a smart coat over dresses and work wear. Sizing: XS-XL, which translates to approximately UK sizes 6/8 – 20/22 (see image for size chart and finished garment measurements).